THE iDOLM@STER Million Live! 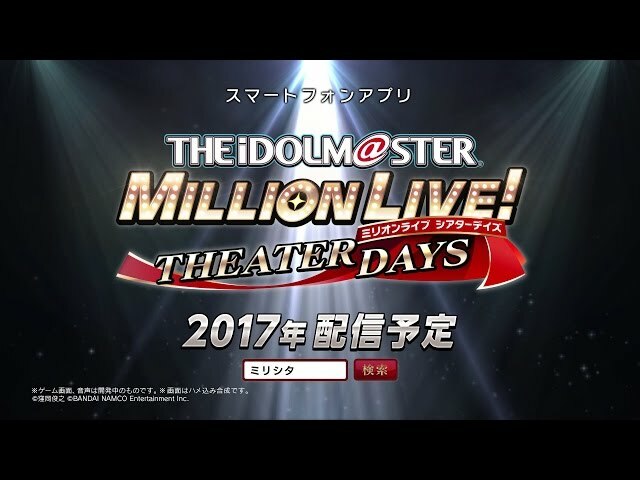 : Theater Days (アイドルマスターミリオンライブ!シアターデイズ Aidorumasutaa Mirion Raibu! Shiata Deizu?) is a spin-off free-to-play rhythm game released for mobile devices based on THE iDOLM@STER: Million Live!.